Yale Club of Germany Hike in the Taunus – The Yale Club of Germany e.V. 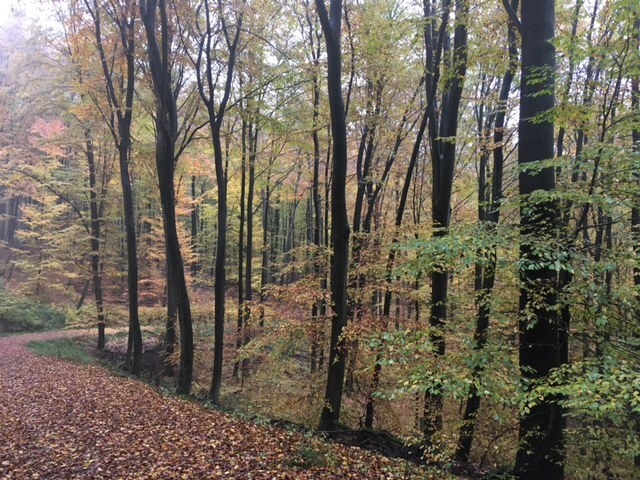 Whether you live in the greater Frankfurt area or not, you’re invited to join a Yale Club afternoon of hiking in the Taunus. Feel free to bring your families or friends. Einstein the Golden Retriever will be joining us as well! • 1:18 p.m. (arrival of the S2)— Meet at Eppstein Bahnhof. The station has unlimited free parking. If you are arriving from Frankfurt by train, take the 12:52 S2 train from the Hauptbahnhof (direction of Niedernhausen). • 1:30 p.m. — We’ll start our hike from the station, following the “Ritter Eppo” path overlooking Eppstein’s old town and castle ruins. • 2:30 p.m. — We should have arrived at the Kaisertempel (1894) scenic overlook; for those who do not wish to hike so far, you can meet us at the Kaisertempel, maybe even have lunch there beforehand; from there we’ll start hiking over the Staufen to Gimbacher Hof, a wonderful place with scrumptious homemade cakes of all varieties in a farm-like setting. • From Gimbacher Hof, we’ll take a slightly quicker, not quite as strenuous path back over to Eppstein. We should return by 6:30 p.m. Train travelers can shorten the hike by catching the train in Kelkheim after our refreshments at Gimbacher Hof. Do come and enjoy some good exercise and camaraderie! Please RSVP via email laura.sprague@aya.yale.edu, so I can reserve a table for us at Gimbacher Hof and send you my cell phone number for the day of the hike.